Again with the entry into a series in book two. Fortunately, this book doesn't require you to know anything about the previous book, since it is from a different main character's viewpoint. Smart going, Rachel Vincent! You have people with magical talents, along with a whole lot of non-magical people. Now, unfortunately, by the time people realise they have talents, the criminal magical syndicates are after them. Their choices are to hide, or to join up. Kori Daniels is a shadow walker, able to teleport between shadows, as well as a combat specialist. She is bodyguard to Jake Tower, who has put her to torture for not preventing an attack on his family. Thing is, while she is bound to him, by her sister's magic, her sister, a hugely powerful binder, is not capable of defending herself. Kori will do anything to keep her sister safe, including, in the first place, agreeing to bind herself to Tower in return for keeping her sister safe. Said sister having got herself bound to Tower by mistake a long time ago. In her childhood, she had also bound Kori to schoolmates, one of whom was able to use that to get her kid away from Tower (presumably in the first book). Now, Ian Holt, a powerful dark maker, is being recruited by Tower. Kori needs to do that, to save her sister from torture. Ian wants to kill Kenley (the sister), to save his brother from the withdrawl symptoms of trying to disobey a binding. Except that said brother has no clue when Kenley did it (and neither do we, till close to the end of the book). It's a romance, so Kori and Ian are falling in love, trying to prevent each other from being killed, while also trying to fulfill their oaths. A well-built world, and you can cheerfully suspend your disbelief. Types of dark (infra-red lights prevent 'true shadow'), and ways to beat oaths, and how the criminal syndicates run the magical world—all well fleshed out and believable. A good read, and I'm planning to seek out book one of the series. I picked this up because it is a book about detecting in the Far North, in Alaska to be precise. Kate Shugak has featured in six previous books, and fans probably know all the characters and react to them entirely differently from someone who dips into the series at such a late point. Kate has inherited her grandmother's position in the tribe, something she is reluctant to own, as she feels she cannot fill her grandmother's shoes. In the meantime, the weather is warming, and the ice is breaking up, hence the title. 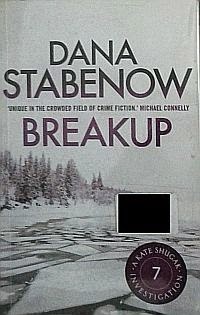 Breakup is also the word, used as a curse, by most of the characters in the book. It starts with Kate getting excited about the warm weather (warm? When the ice is just starting to melt? But it seems it truly is warm for the denizens, and they will probably shift to t-shirts at 4 degrees. Well, I did pick a book about Alaska), and forgetting her rifle, whereupon she is attacked by a mother bear. Safe at home (oh, come on, the book would have been really thin if she was killed by the bear), her meat store is attacked by another bear. After driving it off, she is almost hit by, of all things, a jet engine, which has fallen off a plane. It totals her truck, so she has no transport. She also has no money, and taxes are due. So, at least, there is plenty of mad action throughout. The investigators descend on her house, and the bear comes by again. Followed by three off-roaders driven by drunk tourists. Then, an old dead body is discovered near her land. Her friend, who has abandoned a rich background to live off the land, comes up in a tizzy. Her parents have descended on her (again) and don't approve of her boyfriend, so she wants Kate to tour-guide them to any distance. In return, she gives Kate her truck, forever. Whereupon, the three of them (Kate and the parents) are attacked by yet another bear. This bear, though, has killed and eaten a woman. The woman's husband is a woman-magnet, but also an object of suspicion by the cops. So, was it a murder? And how was it done? What about that original dead body? Was it an accident, or murder? In the meantime, there are planes doing groundloops, old family feuds resulting in bars being shot up, an angry wife chasing her husband with a gun (and finally tying him up and threatening to kill him), and other assorted incidents which the tribe wants Kate to fix. It's an old-fashioned detective story, in the sense that you get all the clues, and should be able to work it out for yourself. 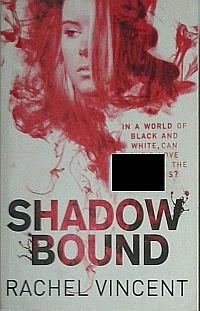 It's also more about the shenanigans of Kate and her friends, so if all you want is a detective story, go elsewhere. There's humour, but of the Patricia Cornwell variety, not of the PG Wodehouse variety. A fair read, but one of this series is enough for me.